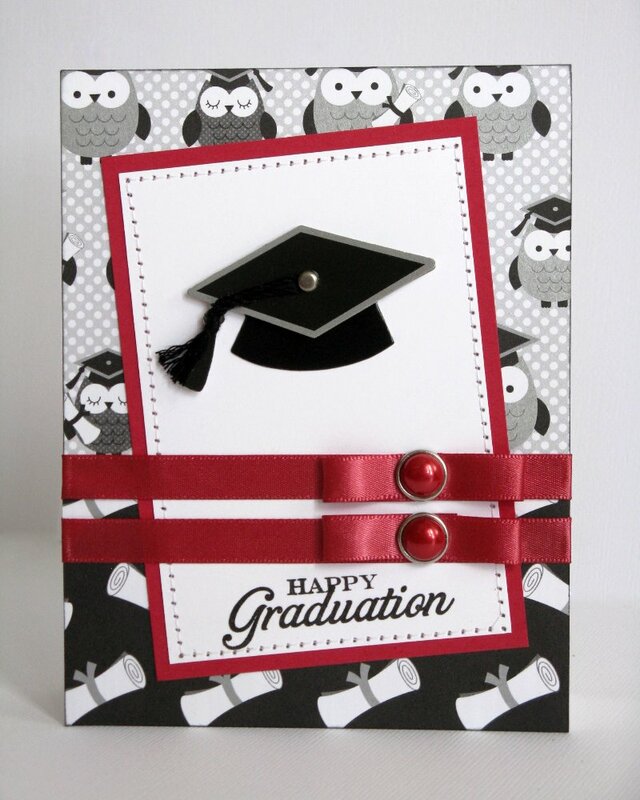 Today I thought I would share a couple of simple, classic themed graduation cards I created awhile back for a magazine call using Doodlebug's "Cap & Gown" collection from last year. 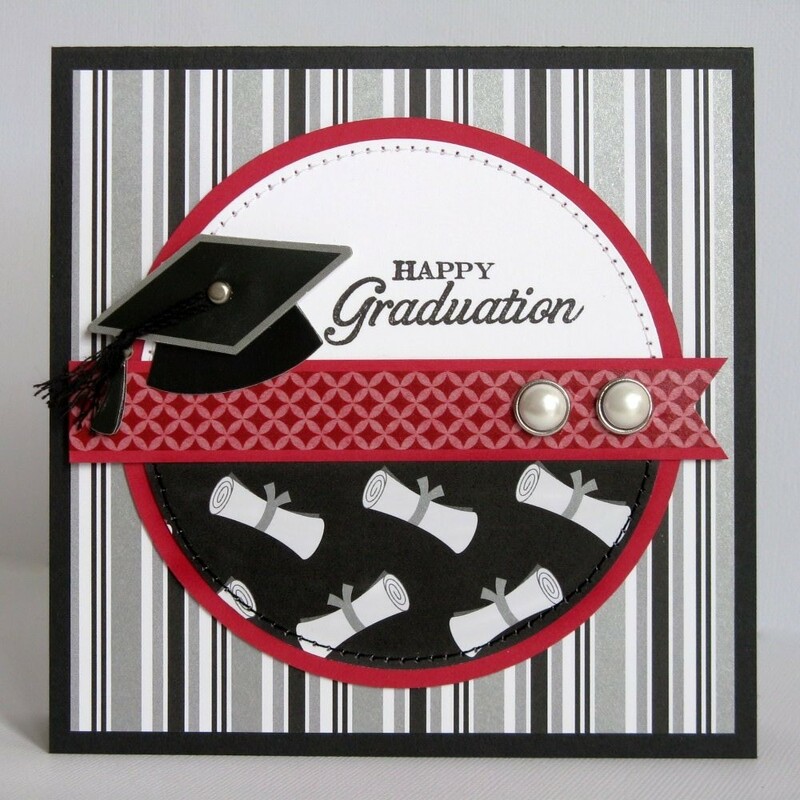 For my second card I went square in design and used a piece of red print washi tape down the center of my band. Both of these went together pretty quickly and were a lot of fun to make. On a side note with all the problems with Feedburner I have just switched my email service to MailChimp. I'm hoping this means you will now be receiving regular feeds and emails from me. Please let me know if any of you are experiencing any issues with the switch. Also, if you have a blog of your own and use Feedburner you might look into switching to another service as well. It took me awhile to realize it, but I am no longer receiving emails from most of the blogs I subscribe to.